The Aberdeen Exhibition and Conference Centre (AECC) has agreed a 10-year sponsorship deal to re-name its AECC Aberdeen Arena to the 'GE Oil & Gas Arena, Aberdeen' for an undisclosed six-figure annual sum. This new partnership aims to enhance the AECC’s position as The National Energy Exhibition Centre and the key conference and exhibition venue in the north-east of Scotland. The arena hosts concerts, comedy and sporting events, large dinner-dances (including the annual Energy Ball), trade and public exhibitions (Offshore Europe, Your Wedding Exhibition, The Scottish Home Show) and many large conferences each year. 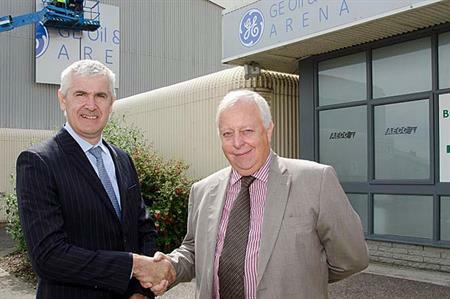 Rod Christie, CEO of Subsea Systems at GE Oil & Gas, said: "GE Oil & Gas is delighted to have concluded an agreement with the AECC to be the title sponsor of the arena ahead of the Offshore Europe event in September. "The arena is a hugely important venue for Aberdeen, hosting a range of industry and social events that support the local economy and community. Being just across the road from the global headquarters of our subsea business, we already had very strong links with the venue and strengthening the relationship seemed a natural thing for us to do. "Our business is experiencing tremendous growth, we are busy recruiting additional employees and this deal will help us to create awareness of the fantastic opportunities the oil and gas Industry offers and promote the GE Oil & Gas brand across the region as an employer of choice." Brian Horsburgh, managing director of the AECC said: "We are delighted to have a global brand company such as GE Oil & Gas as a key sponsorship partner. We see many positive benefits from working with them and we are looking forward to developing these with the GE Oil & Gas Team." More: Marriott recently opened a new hotel at Aberdeen airport.